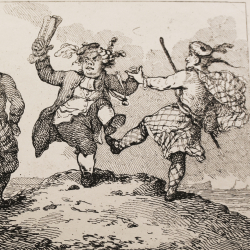 In 1773, Samuel Johnson and James Boswell undertook a grand tour of north east and north west Scotland plus a number of the islands of the Inner Hebrides. Join us for a special tasting of six premium Scotch whiskies showcasing the different regional styles and exploring the fascinating history of this increasingly popular spirit. Presented by Tim Robbins of independent wine and spirits specialists, Nickolls and Perks, who have around 2000 whiskies in their 18th century store! 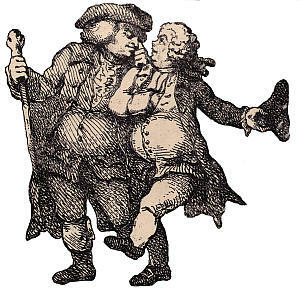 Whilst Samuel Johnson may not have cared much for fashionable dress many of his friends and associates were careful to dress to impress. 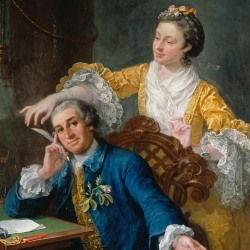 The fine art of fashion within his circle will be explored with special reference to the clothing of David and Eva Maria Garrick, and the portrait practice of Samuel Johnson’s close friend Sir Joshua Reynolds. 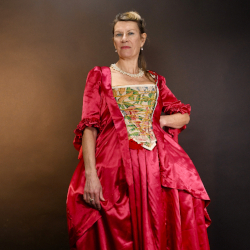 Jacqui Ansell specialised in History of Dress at the Courtauld Institute and has devised and delivered courses and talks on this subject at the National Gallery, NPG, Wallace Collection and V&A. Having worked for many years for the Open University, Jacqui is now Senior Lecturer at Christie’s Education, and an accredited Arts Society Lecturer specialising in the history of fine and decorative art. A rare opportunity to explore the historic interior of Dr Johnson’s eighteenth-century townhouse, at twilight, whilst enjoying a complimentary drink. As part of the Museums at Night Festival, all four floors of the House will remain open for visitors to view our permanent collection. This event is organised in association with the Museums at Night Festival. Standard admission prices apply - no need to book, just turn up! Lady in a Veil is a solo show performed by Georgina Lock, in the character of Lady Mary Wortley Montagu (1689-1762). Born in Nottinghamshire, the daring, witty Lady Mary wrote essays, poetry and a fascinating collection of letters - including accounts of her travels in the Ottoman Empire as the wife of the British Ambassador. Her introduction of smallpox inoculation, from Turkish harems to Britain, in 1720, and her first trial of inoculation on her son, reduced Europe’s many fatalities from smallpox and paved the way for Jenner's discovery of vaccination. We meet her in 1742, in Turin. She has left England again, without her husband, in pursuit of health and happiness with a much younger man, the brilliant Venetian, Count Francesco Algarotti. Georgina Lock’s background is in teaching scriptwriting at universities, acting and film-making, including the prizewinning short film Short White Pleated. In May 2018, she played Countess in Horace Walpole’s The Mysterious Mother at the Yale University Center for British Art, New Haven, CT, as part of the Lewis Walpole Library (of Yale) tercentenary celebrations. Follow in Johnson's footsteps and explore the courts and alleys off Fleet Street with an experienced City Guide. Groups may also book walks at alternative times. For any enquiries please contact us. Dr Johnson's Fleet Street - Discover Johnson's life and work in and around Fleet Street and his acquaintances in the area. Dr Johnson's City - Explore the Fleet Valley, Ludgate Hill and St Paul's Churchyard areas as Johnson knew them. £5/£4 concessions. No booking required. Meet outside Dr Johnson's House. 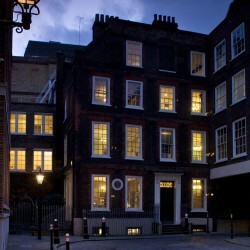 This is a joint venture between Dr Johnson's House and the City Guides. Most events sell out and tickets must be bought in advance. Card payments are processed by PayPal. We regret that we are unable to take card payments over the phone. Customers wishing to pay by cheque should send a cheque payable to 'Dr Johnson's House Trust Ltd' to Dr Johnson's House, 17 Gough Square, London, EC4A 3DE. Please include your contact details. We will let you know when your cheque arrives. Please note the House contains unavoidable steps. For more information about access, please visit our Facilities page.